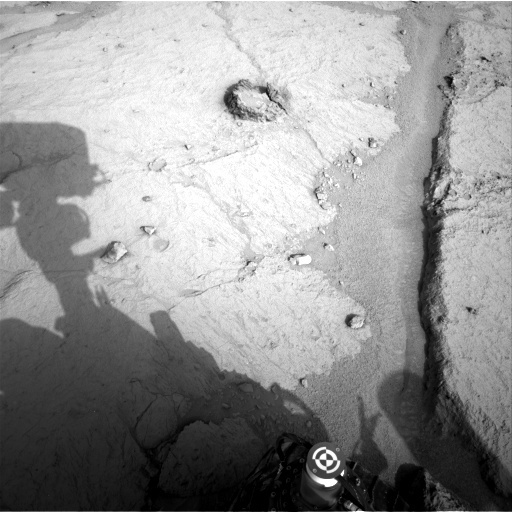 A view of Cumberland, where Curiosity will begin drilling again soon. After just coming out of its month-long “vacation” due to solar conjunction, the Curiosity rover is ready to resume science operations, and do some more drilling, it was reported last Thursday. For any future astronauts who land on Mars, there is one piece of advice that shouldn’t even need to be said: keep your helmet on! Mars has an atmosphere, like Earth, but it is much thinner than ours (and mostly carbon dioxide), and so is unbreathable by humans. 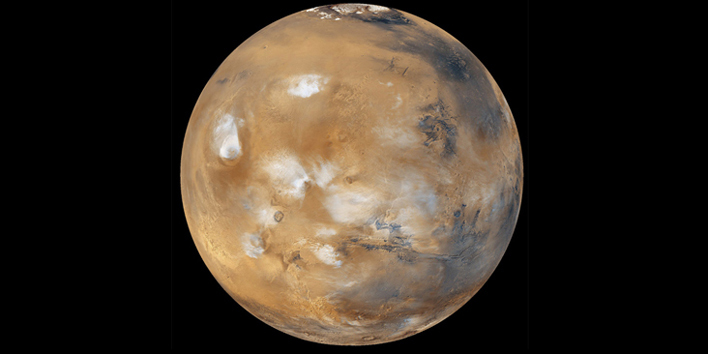 However, evidence has continued to grow that Mars’ atmosphere was once a lot thicker than it is now, early on in the planet’s history. Recent findings from the Curiosity rover have added to that evidence, as well as showing not only how Mars has lost most of the atmosphere that it once had, but also that the atmosphere which remains is still very active. You may be familiar with the phrase “follow the water” when it comes to the search for life on Mars, and for good reason – any place on Earth where there is liquid water, there is life. So, logically, the best places to look for evidence of past or present life on Mars would be where there has been liquid water in the past (or perhaps even still is, underground). 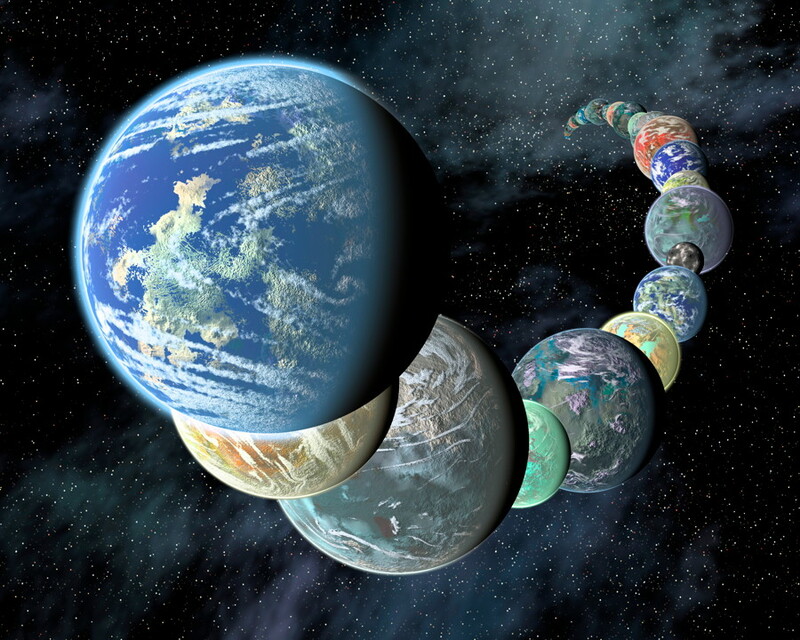 But now there is also another approach being taken, in terms of possible present-day habitability in particular: follow the salt. 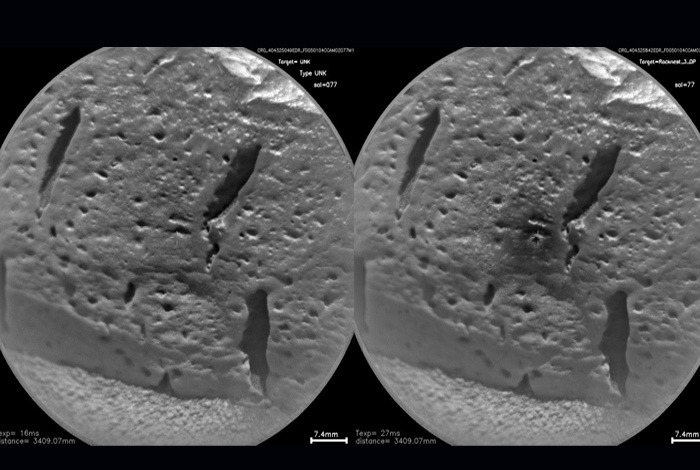 Has Curiosity found Martian rock varnish? Scientists studying data from the Curiosity rover have found another interesting puzzle, one which may easily have gone unnoticed were it not for one diligent researcher in particular, it was announced last week at the 44th Annual Lunar and Planetary Science Conference at The Woodlands, Texas. Read MoreHas Curiosity found Martian rock varnish? 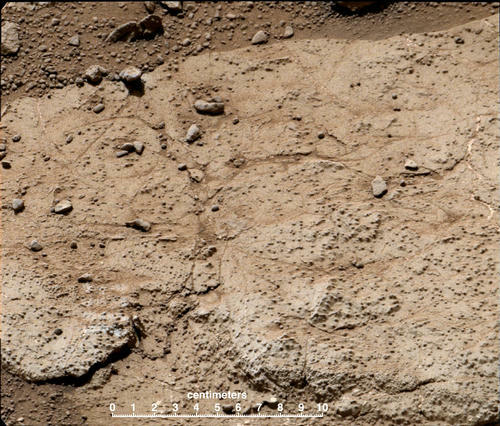 Having just finished its sampling of the soil at Rocknest, Curiosity is now moving farther north-east into the Glenelg area, and has come across another interesting “curiosity” – small, usually roughly circular ring-like features on some of the surrounding bedrock slabs which look like shallow depressions with a raised rim, kind of like frothy “bubbles” which have popped.